We encourage you to get involved with as many of the optional visits as possible; it will broaden your experience of London and the UK, introduce you to some memorable attractions and allow you to spend time with some new found friends! More in formation will be available nearer LIYSF regarding prices and how to buy. Above optional visit prices include; entrance tickets, transport with a one day London Travelcard (£12.70 value) and an LIYSF member of staff to accompany the visit. Private coach used for Stonehenge trip and Oxford or Cambridge day trips. Prices for theatre do not include London travel-card, you must make your own way to the theatre. Buckingham Palace State Rooms A rare opportunity to go inside, the official London residence of Queen Elizabeth II with your newfound LIYSF friends. Explore the magnificent State Rooms of Buckingham Palace, used by The Queen for entertaining at State and ceremonial occasions. They are richly furnished with many of the greatest treasures from the Royal Collection, including paintings by Canaletto, sculpture by Canova, and some of the finest works of art in the world. Truly an unforgettable experience whilst in London! 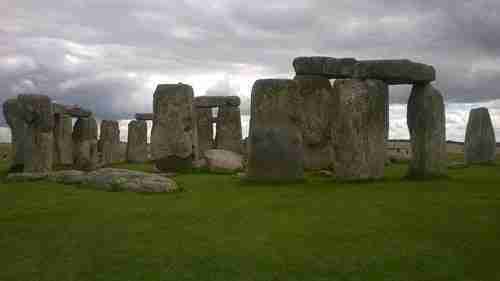 Stonehenge and Salisbury The great and ancient stone circle of Stonehenge is one of the wonders of the world. It is the focal point in a landscape filled with pre-historic ceremonial structures, now a World Heritage Site. After Stonehenge, journey with us to the beautiful city of Salisbury and its 750 year-old cathedral with a 404 ft spire, the tallest in England. The London Eye Join your LIYSF peers to enjoy one of the best views across London. Price includes one day travel-card on Underground. Ride the London Eye with us and enjoy the panoramic views of the capital with its stunning landmarks. See the Houses of Parliament and Big Ben and the dome of St. Paul’s Cathedral. Oxford/Cambridge Day Visit During the LIYSF programme you will already visit one of these cities with our Oxford/Cambridge Science Visit days. Join us on this Sunday excursion to explore the city you didn’t already have the opportunity to go to. Full day with a private coach, LIYSF staff member and a visit to the University at Oxford or Cambridge respectively. Please note these are two trips, one to Oxford and one to Cambridge. You must choose which you wish to join, each coach will only go to one city. Thames River Sightseeing Boat Cruise Join us on a city sightseeing cruise from Westminster down the river Thames, passing the most iconic London sights, including sailing under Tower Bridge and seeing Traitor’s Gate at the Tower of London. There is on-board commentary in six languages. The cruise will go out to the Thames Barrier – the largest movable flood barrier in the world. Tower of London This has been a popular attraction in London for 300 years. The tower itself was built in the reign of William the Conqueror and has been a prison, a place of execution and even a jewel house. Tower Hill, found just outside the Tower, was once a popular place for executions- especially on a Sunday! Today the Tower houses, among other things, the Crown Jewels and the Royal Armories. Ravens circle the tour during the day and Yeoman Warders in Tudor regalia guard the Tower.